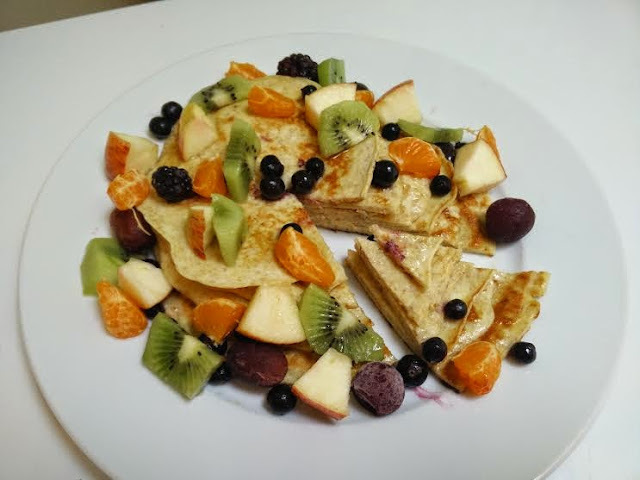 Hey everyone, I'm back with a healthy pancake recipe that tastes delicious. Mix all ingredients together using a fork and let it sit for 30 minutes/overnight. The batter becomes more thicker and flufflier. Pour onto medium heat saucepan and flip after a minute.